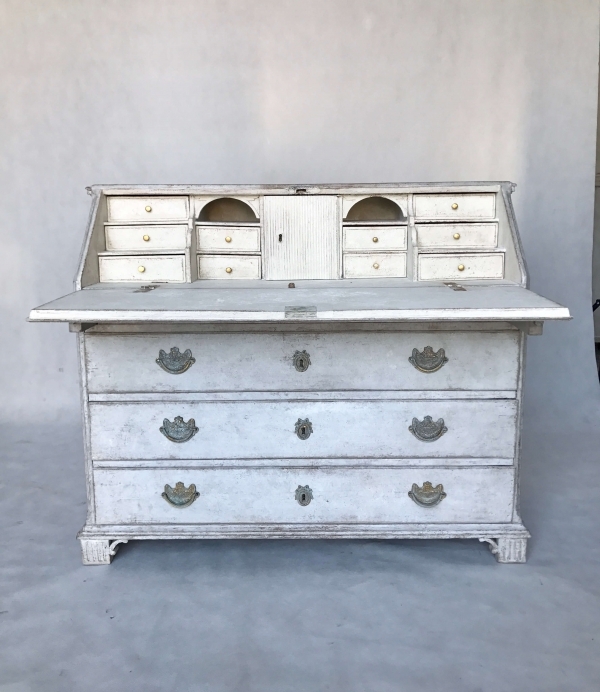 This is an 18th century Gustavian period bureau with a fall front desk featuring a multitude of compartments. 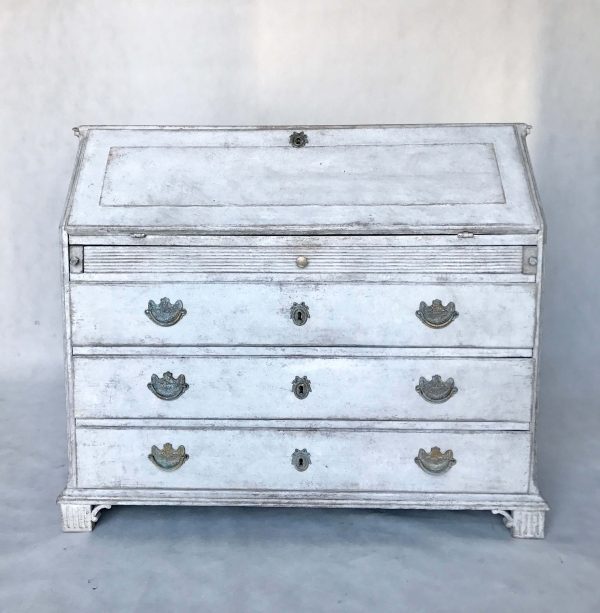 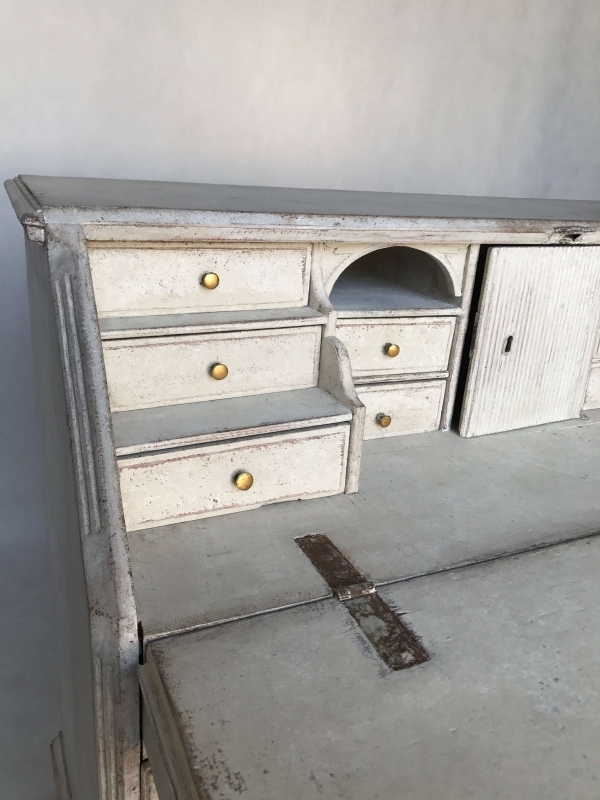 It has a slim letter drawer with dentil frieze, three further drawers, decorative shaped bracket feet, original hardware, and locks. 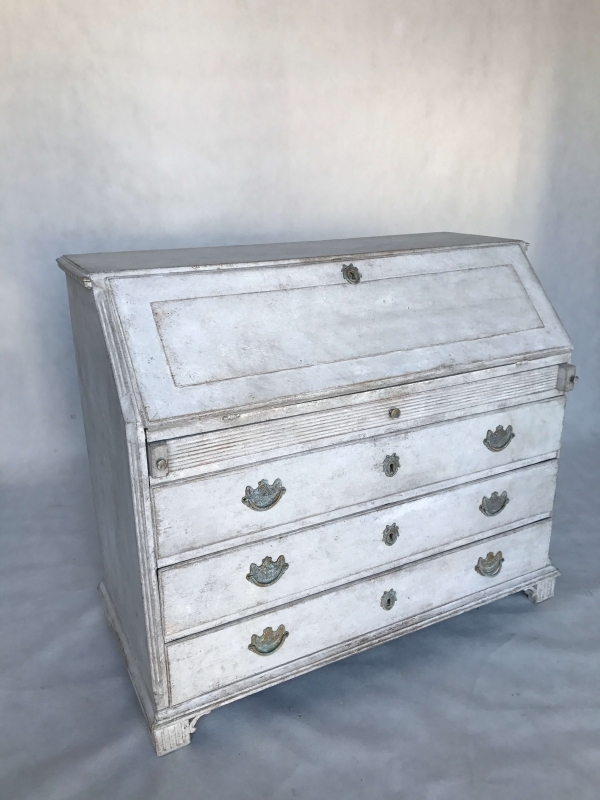 This piece was produced in Sweden circa 1800 – 1830.